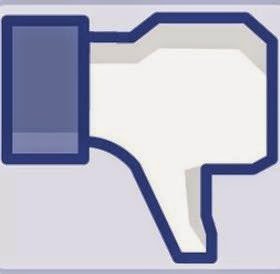 Rabbi Shishler online: Get off Facebook!! "OMG! ", as they say these days. This whole King David vice headboy story has gotten completely out of control and it's all our fault! I mean he was completely out of line, and his behaviour raises serious questions about the education that our children are getting. But, we, the ordinary members of the Jewish community, are the ones who splashed that kaffiyeh photo- accompanied by rantings and accusations- all over the internet. We alerted the media and we baited our detractors. We need to pause- as we stand in the virtual ruins- to reflect. Everything a Jew sees or hears is meant to be a lesson, according to the Baal Shem Tov. What a whole group of Jews does, especially just before the most introspective time of the year, certainly must teach us something important. For a start, we don't all appreciate the power of social media. Someone once asked the Previous Lubavitcher Rebbe what spiritual lesson one could learn from a telephone. He responded: "What is said in one place will be heard in another". Chassidim always said that the spoken word is impactful, but the printed word is eternal. Social media is irretractable. In plain English, once you've posted something, it's everywhere, forever in your name. One of Judaism's greatest spiritual principles is that the mind must guide and control the heart. Most online postings are emotion-based, which leaves them wide open to being misguided, misplaced or misinterpreted. We've all blurted things out and regretted them afterwards. Unintended insults or faux pas can be corrected face to face, but written (or actually typed) words will often read differently to the reader than they did to the writer. Think before you post. Is your motivation to make a difference or to release frustration? If it's the latter, rather put it in an email to your like-minded friends. Rabbi Akivah taught that the buffer of wisdom is silence. If you post, think about who you are posting to or about. We were all seventeen once. We all did hotheaded things that we thought were smart at the time, but now hope nobody will ever uncover. Luckily for us, we didn't have social media to expose and eternally shame us in those days. Real haters out there, like public figures who have called for death to the Jews, deserve to be exposed, discredited and dragged through the appropriate legal procedures. But, young (and naive) idealists should be allowed the dignity of discretion, and disciplined by the appropriate bodies. Mass-attacking a teen whose ideologies don't match yours is more likely to alienate than to rehabilitate him. Even if a public figure says stupid (not inciting) things, we gain nothing by attacking them. Public personalities receive criticising mails all day long. Best case scenario, yours will be lost in the crowd and will achieve nothing. Worst case, your target will villify you publicly. Unless you have rapport with someone, don't attempt to attack them. Certainly don't be disappointed if they don't change their views because of your pestering. The Torah says only rebuke someone who you believe may listen to you. Our biggest failing as a community is broader than these technicalities. We are reactionary. Someone provokes us, we take the bait. We respond and they blow our response out of proportion. Then we either fuel more anti- senitiment or simply look stupid. This week's parsha tells us that the first setp towards decline is not standing proud of who we are. We need to be proactive and get our story out there. We need to remind the world of G-d's promise of Israel to the Jews. We underestimate how many people believe that the Bible is true. We need to remind them of that truth, because they do consider it more compelling than CNN. We need to be proud of our heritage, the morality and compassion that is part of our DNA. We need not be ashamed to call evil by its name. And we need to be proud of our people, our country and its army, who are not perfect, but are way ahead of the curve. Jewish history is a repetitive refrain of Jews empowering their enemies by reacting rashly, rather than by following the guidance of our timeless Torah. We have an opportunity to act differently at this time. Please G-d, our appropriate behaviour will draw down His blessings for the world to wake up to reality. Your advice and insight is indeed sound. It has certainly helped me to let go of the anger I felt towards this child. Here in my region in Israel we had just buried too many of our own local boy soldiers when I first read about Josh's actions. Laying our own innocent children to rest is one of the saddest things we can experience The pain and sorrow stays with us always. These boys gave their lives not only for us, but for all Jews in the whole world. With all this sorrow in my heart I read about Josh's actions. I was so angry and I spend way too much time thinking about the punishment he deserved. Now, I think he needs help because he has harmed himself so deeply that it may affect the rest of his life. That too is sad and perhaps he needs help and compassion to see him through this difficult time in his life. We do not have to give him a hero's welcome, just a little forgiveness and empathy will help us all to heal. May Hashem help all of us to heal, including Josh. Thank you once again for your words of wisdom.